March is National Read Aloud Month, and Mighty Media Press is ramping up to celebrate! With Dr. Seuss’s birthday on March 2nd and World Read Aloud Day on March 4th, our authors and illustrators have events and Skype in the Classroom visits lined up through April. We’ve partnered with the organization Read Aloud to support and encourage reading at home, in school, or at the library. Teachers, educators, and parents: it’s up to YOU to ignite a child’s imagination and curiosity. Reading aloud to a child for 15 minutes can make a significant impact on his or her mental and emotional well-being. Reading is brain food. Children need books as much as air or water. An apple a day keeps the doctor away? So does a book! But not just any book. 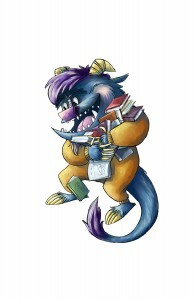 Books with Monstrous Words— higher-level vocabulary words that stimulate and inspire young children. Words like "pirouette," "desperado," "raucous," "procrastinating," and "parched". Big Words. Loud Words. Words that make young kids smarter, curious, and adventurous. All month long, we'll be featuring guest author posts about the importance of reading aloud to children. Look for posts by Paul Czajak, Ellen Fischer, and Ellen Prager starting March 12th. Tweet us using the hashtag #MightyMinds and #WRAD15 with pictures, videos, and messages about reading aloud to kids.